We are keen to hear what you think about our website. What don’t you like? What would you like to see less of? Join our mailing list and keeping touch with the latest developments at St George’s and the SGKPA. We’ll also keep you up-to-date with the latest in renal care, news stories and recipes. It will also allow us to keep our costs down contacting you. For example, mailing invitations for the AGM are the charities largest administrative cost. This money could be better used to buy equipment for patients and the hospital. 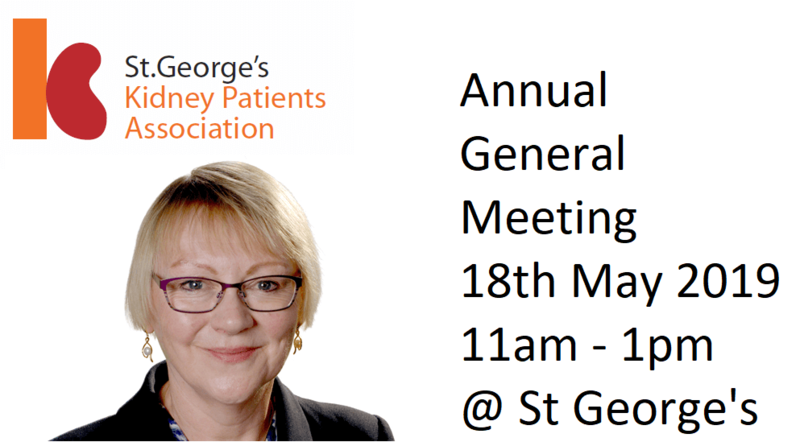 I am happy to receive future marketing communications from St George’s Kidney Patient’s Association. Peace of mind - we take your privacy seriously and your personal details are not shared outside St George’s Kidney Patient’s Association.